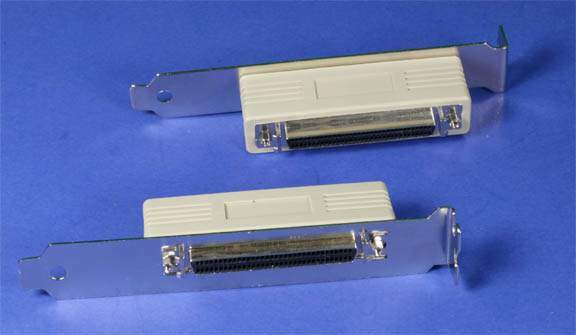 This is a DB-68 Female jack on one side and a DB-68 Female Screw-Latch connector for SCSI III cables on the other. This is designed to take the SCSI-III port out of the system. Used to take Ultra Wide Port out of the system for Disk Arrays. Has both Screw and Latch Connectors on Both Sides. Lots of time the Internal Cable uses Non so just slide it together.